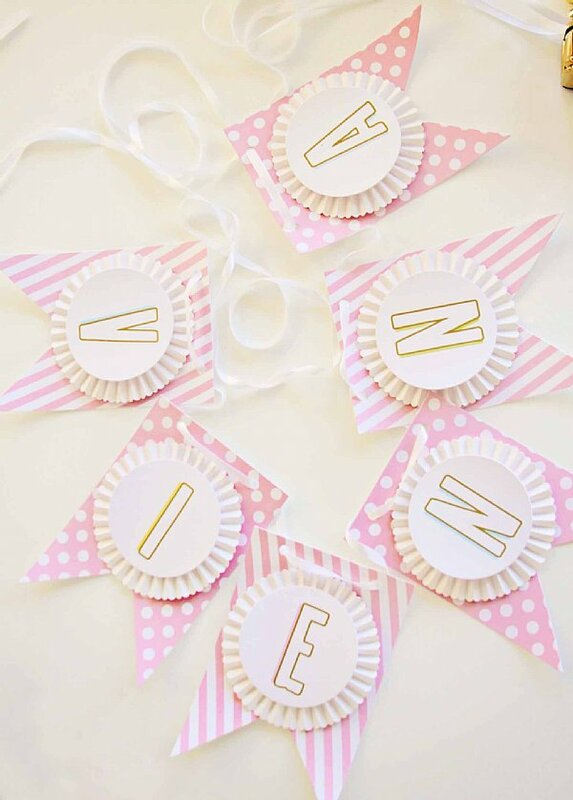 This rosette pennant banner is simply sweet! 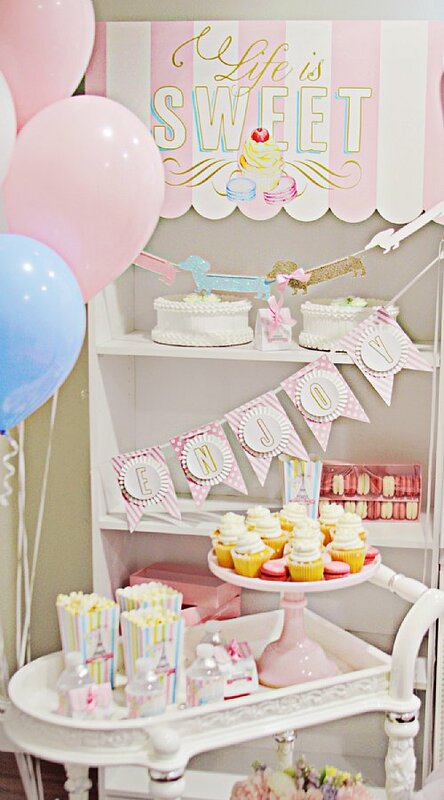 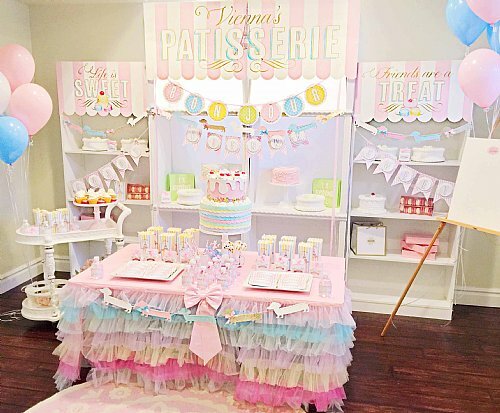 Pastel pink and white, this banner is printed on 3.33" circles, adhered to beautiful 4.5" luxurious large white rosettes and then layered on top of 5" x 7" pink and white pennants. The banner comes pre-cut, pre-punched with holes and beautiful satin ribbon to hang it. 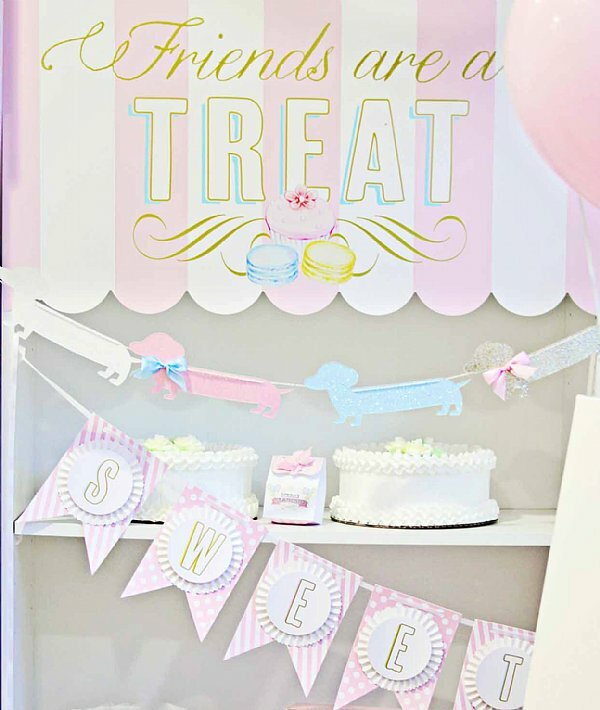 The standard banner reads "SWEETS" or you may personalize it with a name or word of your choice - up to ten (10) characters.